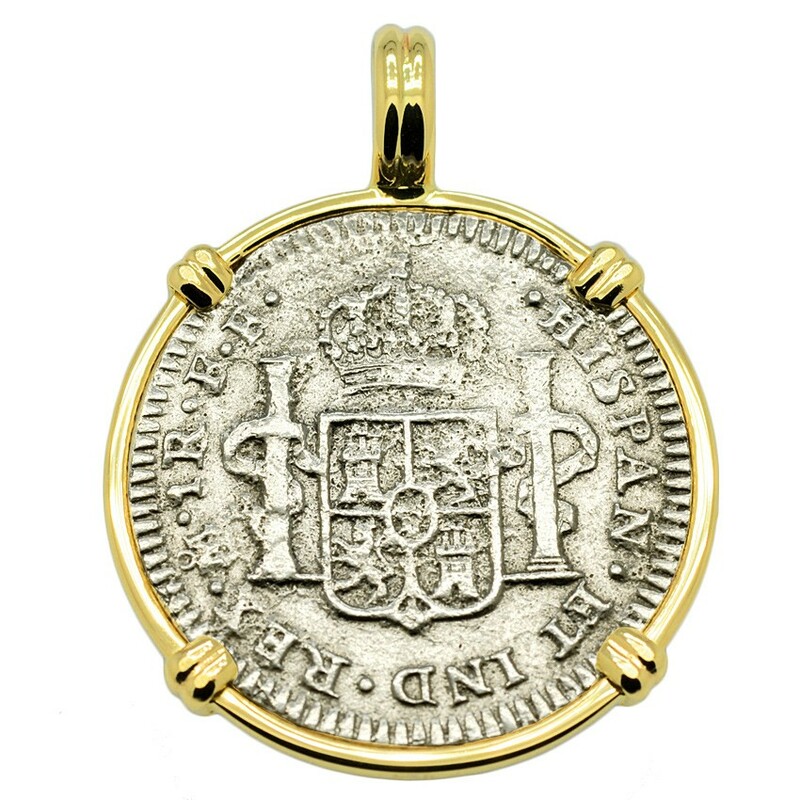 SOLD El Cazador Shipwreck 1 Real Pendant; Please Explore Our Spanish Treasure Pendants For Similar Items. 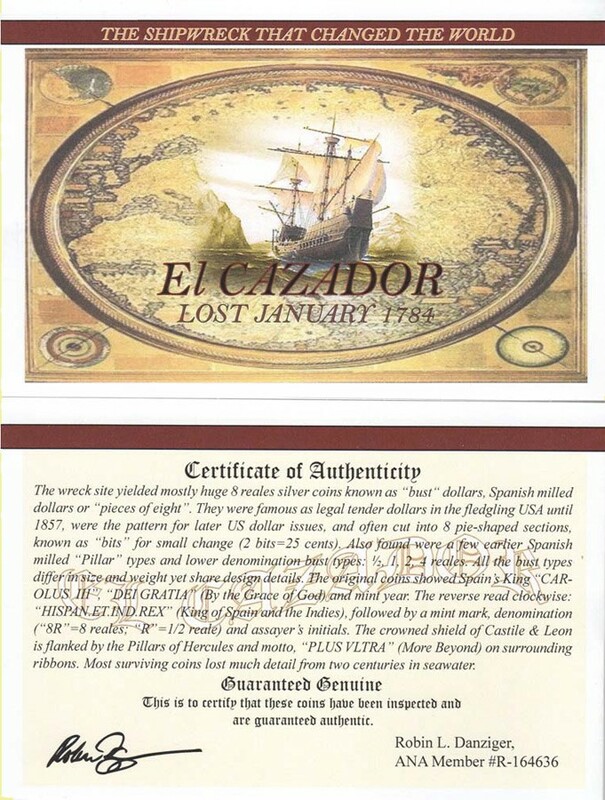 El Cazador shipwreck coin certificate also included. 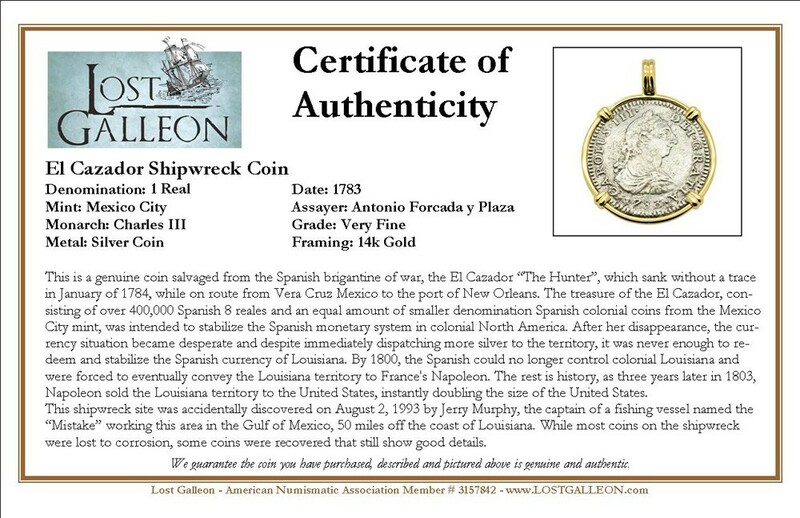 This is a genuine coin salvaged from the Spanish brigantine of war, the El Cazador “The Hunter” which sank without a trace in January of 1784 while on route from Vera Cruz Mexico to the port of New Orleans. 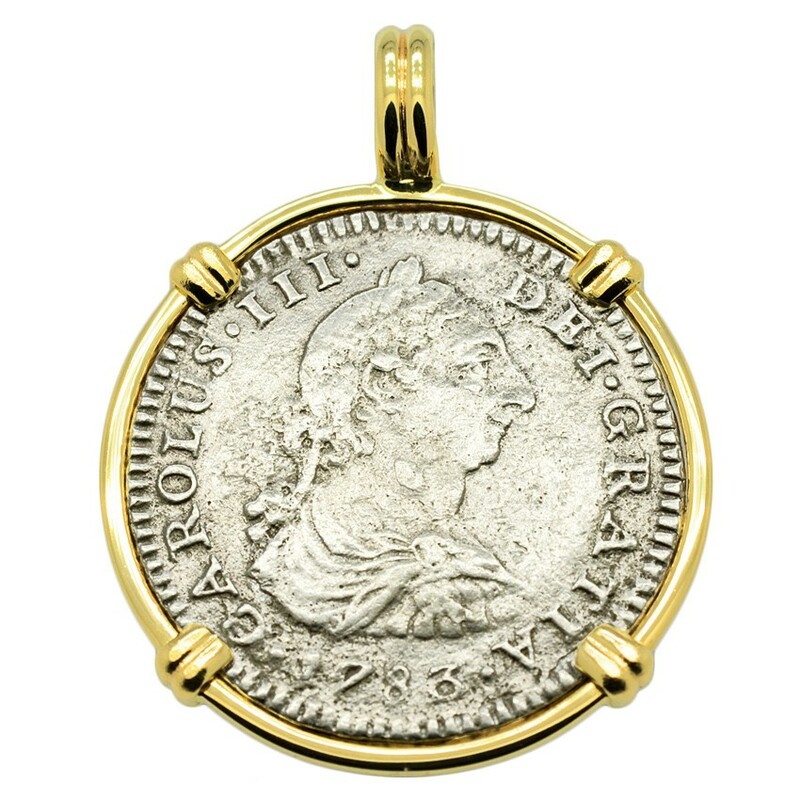 The treasure of the El Cazador, consisting of over 400,000 Spanish 8 reales and an equal amount of smaller denomination Spanish colonial coins from the Mexico City mint, was intended to stabilize the Spanish monetary system in colonial North America. 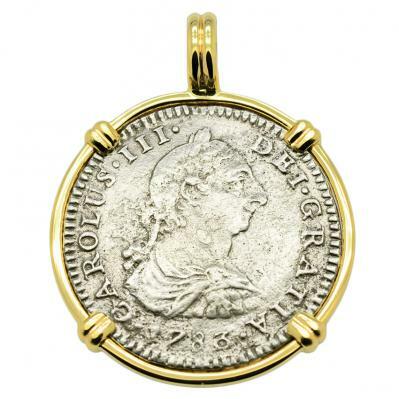 After her disappearance, the currency situation became desperate and despite immediately dispatching more silver to the territory, it was never enough to redeem and stabilize the Spanish currency of Louisiana. By 1800, the Spanish could no longer control colonial Louisiana and were forced to eventually convey the Louisiana territory to France's Napoleon. The rest is history, as three years later in 1803, Napoleon sold the Louisiana territory to the United States, instantly doubling the size of the United States. This shipwreck site was accidentally discovered on August 2, 1993 by Jerry Murphy, the captain of a fishing vessel named the “Mistake” working this area in the Gulf of Mexico 50 miles off the coast of Louisiana. While most coins on the shipwreck were lost to corrosion, some coins were recovered that still show good details.